In terms of video game systems, we all know the big players of today. 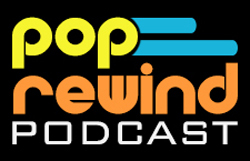 Throughout time, however, portable game consoles have come and gone like pop music. Some of them were released by manufacturers you don’t remember, while others have been swept under the rug by corporate giants. Here’s a look at seven missing links in portable video gaming. “The graphics will blow you away!! !” Really? This is the color graphics follow-up to the Neo Geo Pocket. Several SNK games were available for this handheld. There was even a semi-unique Sonic game for the system. It seems like a faded memory now, but Neo Geo Pocket Color was actually quite popular with the public. You can blame its lack of longevity on internal problems. When will the suits learn? The Nomad worked with Game Genie, Sonic & Knuckles, and special-chip carts. Don’t breathe too hard. True to their word, “Sega does what Nintendon’t” with this device. 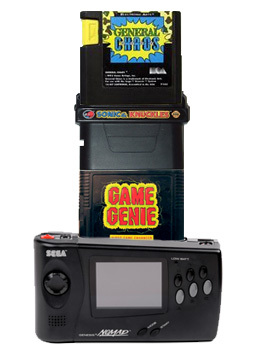 Only slightly larger than the Sega Game Gear, this handy gadget plays Genesis games. So, why didn’t this one catch on? It was released several years after the Sega Genesis had peaked. By this point, people had already been burned by the Sega CD, 32X, and Saturn. Talk about guilty by association! They aren’t kidding about needing your eyes. Virtual Boy: The reason I wear glasses. There is a giant rug in a back room at Nintendo’s headquarters and all internal traces of the Virtual Boy are living under it. This red beast was a commercial flop, with reasons ranging from high prices to lack of games. Only fourteen titles made it to North America and that wasn’t enough to draw consumers’ interest. Between the Virtual Boy’s failure and the lukewarm welcome of the 3DS, I wouldn’t be surprised if it’s another sixteen years before Nintendo releases another 3D system. Nintendo: we finally got the GBA right (on the third try). Released when Nintendo was still in denial about the success of the DS, this little system went largely unnoticed. 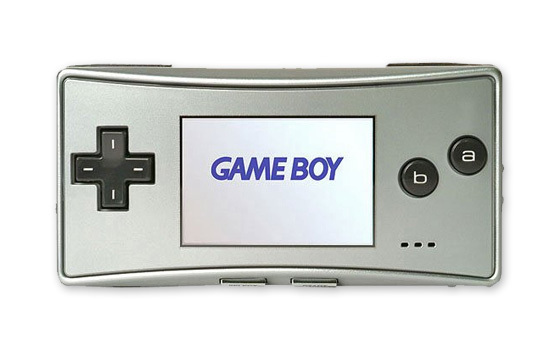 This palm-sized console was the first Nintendo handheld to not support original Game Boy games. Instead, it only played Game Boy Advance games. If it were possible to time travel and give one of these to a 1985 gamer, it would have blown their mind. The entire thing was smaller than an NES controller! Game.com’s marketing strategy was to insult consumers in the form of a mid-90s alternative music video. Despite what you think is standard convention, this system is pronounced “Game Com” (not “Game dot Com”). Available to consumers in 1997, the graphics didn’t take players anywhere that Game Boy hadn’t for the previous eight years. Despite the lo-fi visuals, Game.com offered some innovation by allowing users to connect online via a 14.4 kbit/s modem. Awwww, yeah! What, you don’t remember this one? 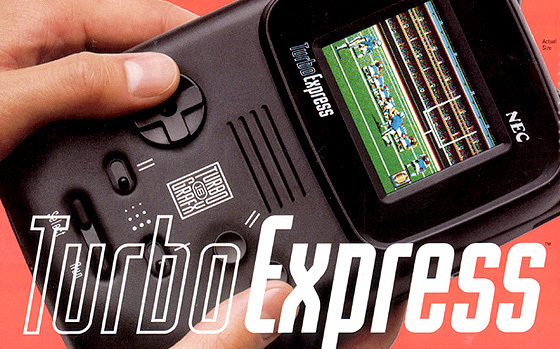 TurboExpress may have been Sega’s inspiration for the Nomad system. This played TurboGrafx-16 games, so players could take such hit titles as Bonk’s Adventure and TaleSpin on the road. The launch price of this thing was $249.99, which is over $400 in today’s economy. TurboExpress made a brief appearance in a 3 Ninjas movie, as well. Hmm, starting to see why this one didn’t take off. How could you go wrong with Atari? Oh, wait. Surely, you knew Lynx would be on this list. I mean, it was the inspiration for the title of this article. Anyway, in 1989 Atari released a 16-bit color handheld console. This was direct competition for Game Boy, which was also released that year. Despite the technological advancements the Lynx had over other systems of the time, it never really caught on with players. Perhaps the Atari fanboys had moved on after suffering through a dozen Atari systems in the prior decade. The commercial boasts thirty fighting moves in Eternal Champions. THIRTY!!! Remember those Tiger handheld LCD games you played at the dentist office? Sega briefly attempted to re-invent the wheel and take them to the next level. Well, all they really did was put them in a better designed case. LCD games typically had a fixed, painted background with digital watch inspired graphics overlaid on top. I still can’t play Ecco the Dolphin without feeling a sharp pain in my tooth. Ouch! Did we miss some of your favorite portable game systems? Tell us about it in the comments below! Nice list. I own a handful of these and wish I had some of the others. The NGPC was awesome and is still one of my favorite handhelds of all time.